The beginning of a quilt sleeps in a box in the top of my closet. I started this project ten years ago. Out of sight, out of mind . . . until I read the quote above! Who wants to start the “habit of failure”?! Those seem such harsh words, don’t they? Why do we give up on projects especially prayer “projects”? We’re a microwave society. The art of patience has been lost because of our culture’s conveniences. When answers don’t come quickly we move on. We’re too busy to finish what we started (like my quilt). Prayer is not always easy. Our prayer muscles are weak because they’ve not been pushed or exercised on a daily basis. This is the big one. We become discouraged when other prayers weren’t answered as we wished or our current prayers don’t seem to be helping. Discouragement begins to settle in our hearts and we loose courage to continue. Too often that discouragement is toward God. When the answer doesn’t come, we feel he isn’t hearing or won’t answer. We picture God as a big “No” in the sky. This is huge. Our battle is not against God. 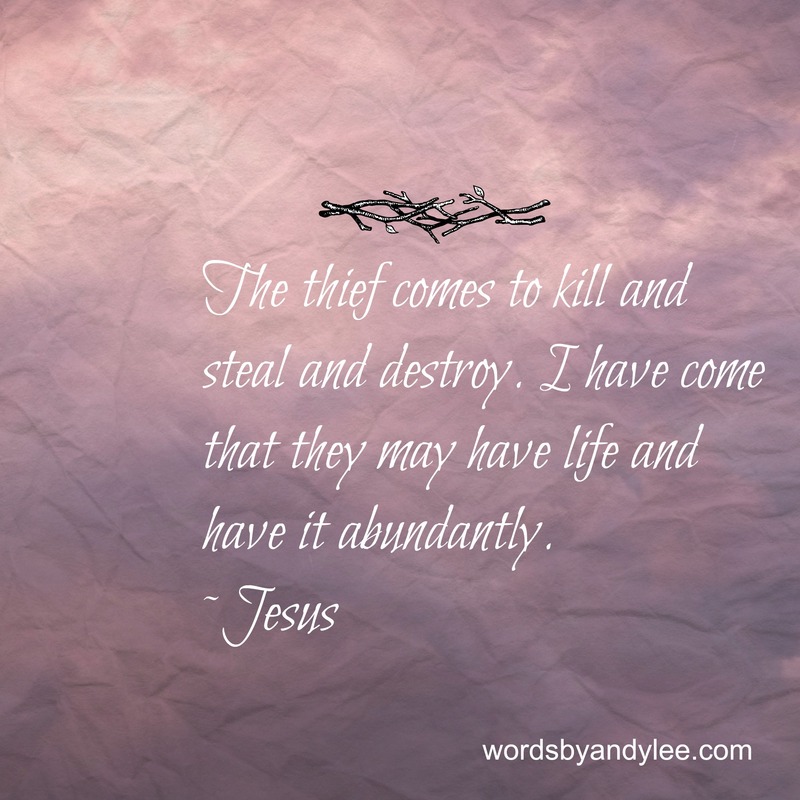 It’s against the one who has come to steal and kill and destroy. And my friends, we know that the enemy has been defeated. Though the battle still wages in this realm, the end of the story has been written. When you don’t know how to pray, cry out his name, Jesus. If you are discouraged, if you’ve got prayers neatly folded and packed away, dig them out. Brush the dust off them, shake them out and determine to pray them through until you see the finished product. And if you have other tangible half-completed projects in your closet like I do, let’s use them as reminders to finish what we’ve started both here and eternity. I’ve promised myself I will finish this quilt (after the wedding!). What prayers or projects do you need to finish? Thanks for stopping by and leaving a comment Sandy, Tina, and Debbie! This is so good Andy! I love the analogy. Really gives me food for thought…about things I do need to finish…ESPECIALLY some prayer projects! Thank you! 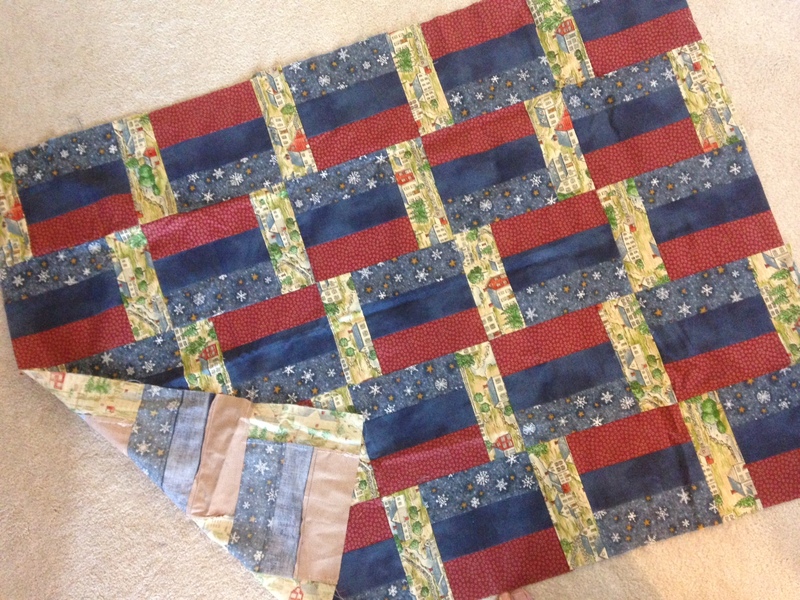 This is why I’ve never attempted quilting ;)! Great tips to stay encouraged, Andy!